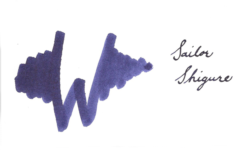 Volume – Available in 40ml bottle, Cartridges and 3ml sample vial. 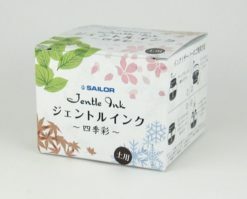 Carton Material – 40ml Glass bottle, Plastic sample vial. 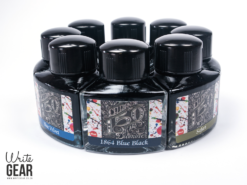 With 2014 being the company’s 150th anniversary, Diamine created a new range of inks. Supplied in special triangular bottles, this is one of those must have collections! 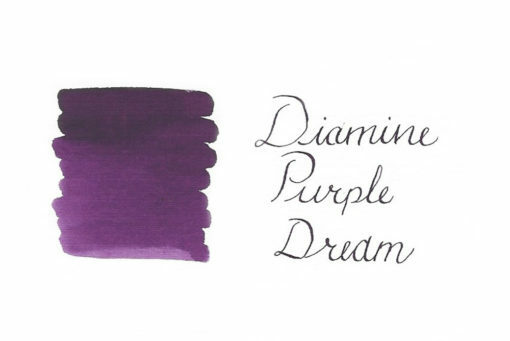 Diamine Purple Dream is one of the 8 New 150th Anniversary colours available in special 40ml bottles, it is a saturated, bright and vibrant color. 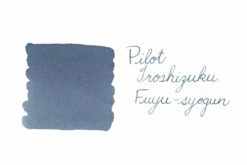 The flow is fabulous, so is the drying time, depending on the nib and paper in use. Diamine Purple Dream is safe to use for any brand of Fountain, Dip pen and even your vintage pens. 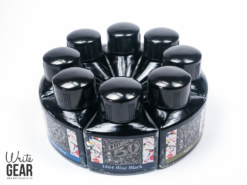 This Diamine ink has anti-clogging properties which allow the ink to flow through smoothly, giving a great writing experience. 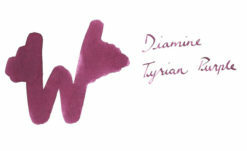 The Diamine 150th Anniversary Purple Dream ink is water-based and non-toxic, it does not stain the pen and is very easy to clean. 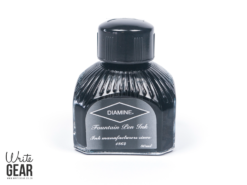 Use the cleaning solution to give your pen a fresh feel and add some crisp to the Diamine ink.